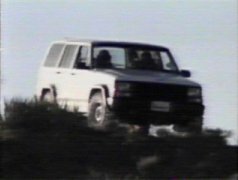 Welcome to the Area 51 Photos page, here you will find pictures of Area 51 along with information and links, including pictures of the J.A.N.E.T. aircraft. 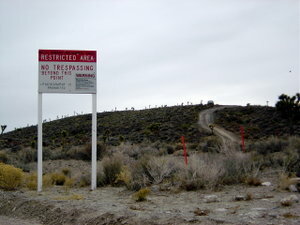 Security at Area 51 is, as far as the eye is concerned almost non existent. Don't be fooled. As you can see these signs are not put here for fun. Get too close and they will shoot. Note the "Use Of Deadly Force Authorized” on the sign. Hidden security equipment is littered across the landscape, with eyes watching your every move. Notice the security vehicle in the background. 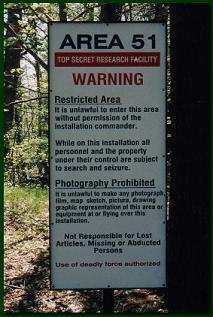 Because of UFO and conspiracy theory’s surrounding Area 51 it is hard to tell fact from fiction. It is thought that the prototype of the F-117 aircraft was flown at Groom Lake. Other aircraft like the U-2 spy plane have also been tested here. 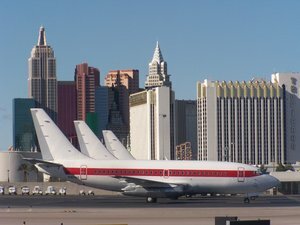 The latest aircraft that many think is being tested here is "Aurora". Not much is known about "The Aurora Project" only that new technologies are being used in the aircrafts development and construction. Traveling at hypersonic speed it may look like a UFO to many people.